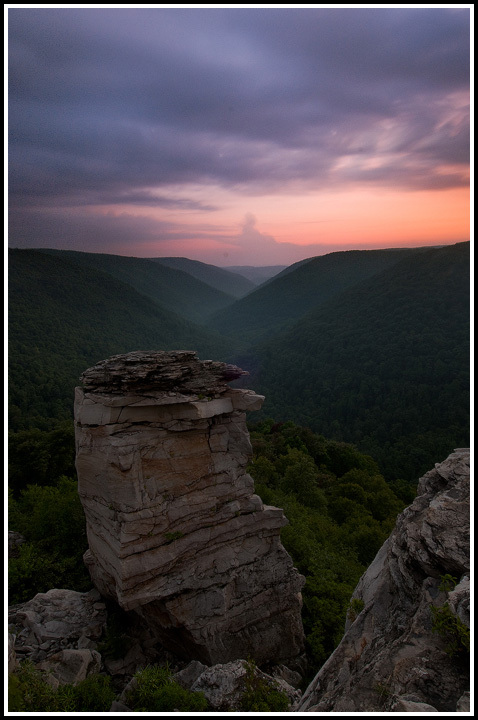 Aaaaannnnndddddddd one more from my day in West Virginia! 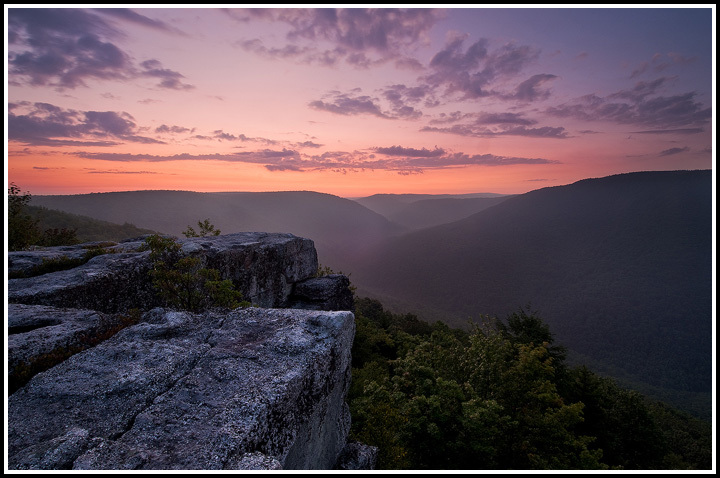 This image was made the same day as all of the previous WV images, but this was taken about 15 minutes after sunset as a layer of clouds blew in from the South. I used my Singh Ray Vari-ND filter to obtain an eight minute shutter speed for the sky. I’ve also received some criticism for leaving the foreground so dark, but I like it that way and hope you do too. 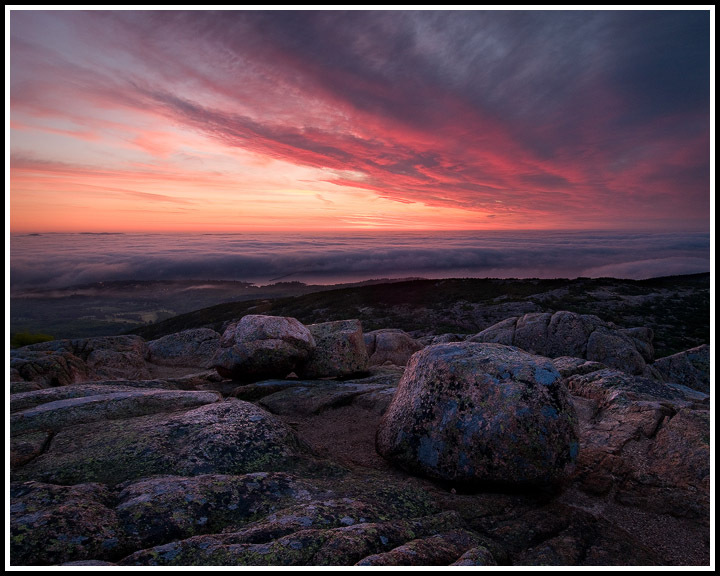 Here are two more images I made from Canaan Mountain. 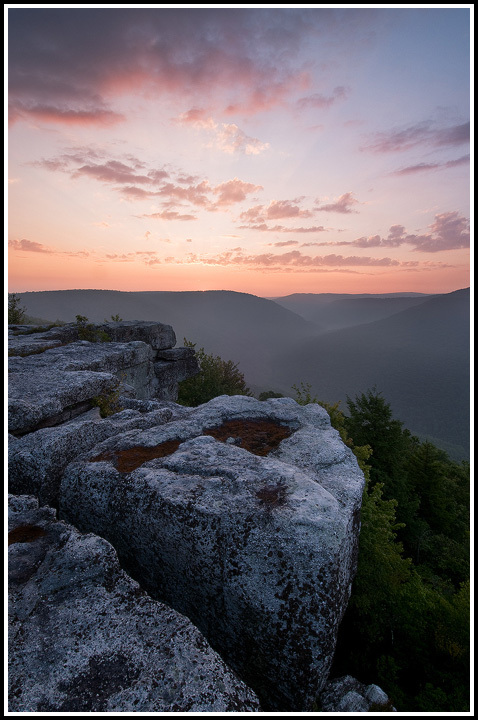 Continuing on with the theme of posting images from my recent West Virginia/Ohio trip, here’s another image from sunrise at that favorite overlook of mine! You know, although the graduated ND filters will never leave my bag, I am really beginning to get comfortable with digitally blending my images. Chris Kayler and I just got back from a 5 day trip spent photographing landscapes in Davis/Canaan Valley, West Virginia, and migrating shorebirds in Conneaut, Ohio. Overall the trip was a great success, with great light in West Virginia, and great birds in Ohio! Here’s the first of a few images I’ll be sharing with you all from this most recent trip. 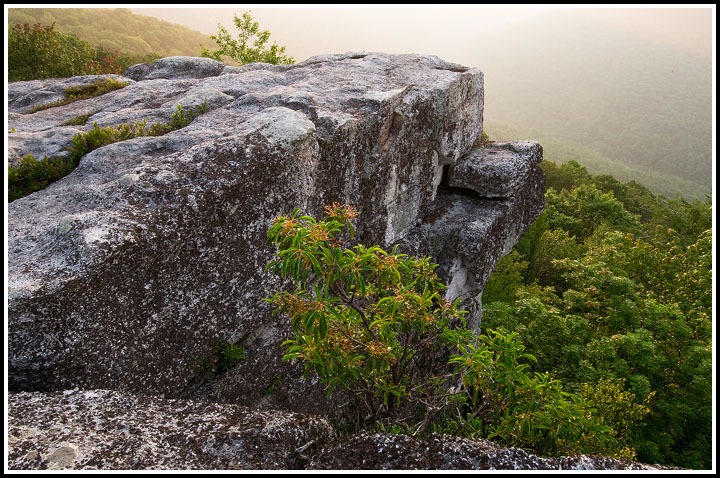 I made this photograph atop a favorite rocky overlook in the Monongahela National Forest. 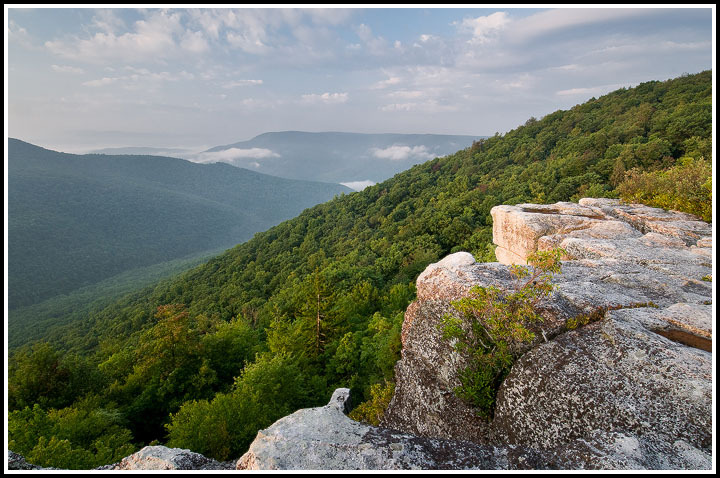 Chris and I hiked up in the evening and camped out at the overlook in order to be there at sunrise. 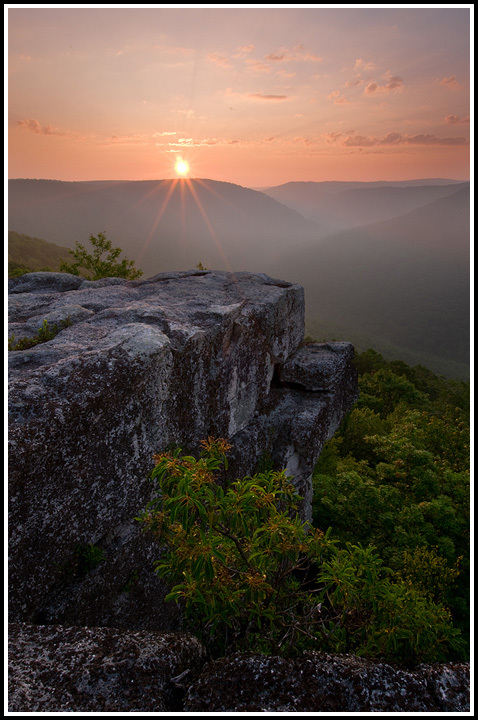 Sunrise over the Mather Gorge, Great Falls National Park, Virginia/Maryland. I hope everybody enjoyed the past holiday weekend. I sat around and did a whole lot of nothing, and it was honestly wonderful. Over the past few weeks, and hopefully for the next few weeks, I’ve been trying to make the most of local summer photo ops. I’ve been concentrating on the White-tailed Deer fawns up in Big Meadows of Shenandoah National Park, sunrises, sunsets, and the resident Great Blue Herons of Great Falls National Park, and I’ve been searching for decent locations to photograph Least Bittern and Pied-billed Grebe, since they’re among the few area birds that are easily photographed in the summer that we have here. If all goes as planned, some time soon I’ll be making a weekend trip up north to photograph Common Loons. 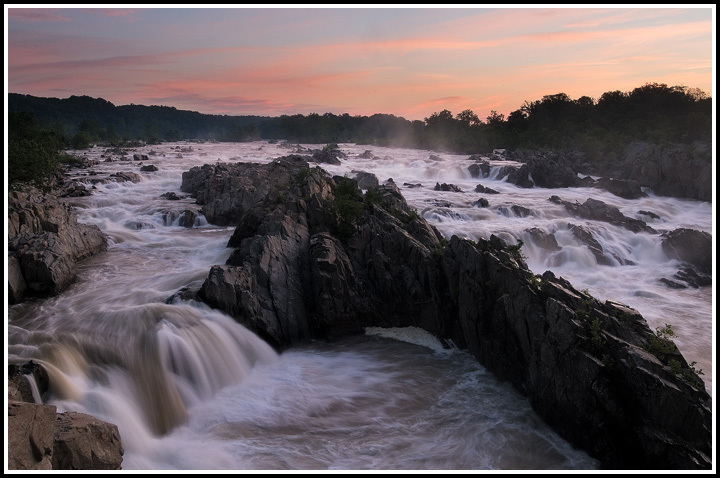 Anyhow, I’ve been making many a sunrise/sunset trip to Great Falls over the past few weeks. I haven’t had great luck with the Herons, but on a morning trip with my friend Chris, we had this nice sunrise.